TEKKEN 7 Adds Miguel Caballero Rojo to Roster | Nerd Much? One of Tekken 6‘s new characters has joined the fight in the upcoming Tekken 7. 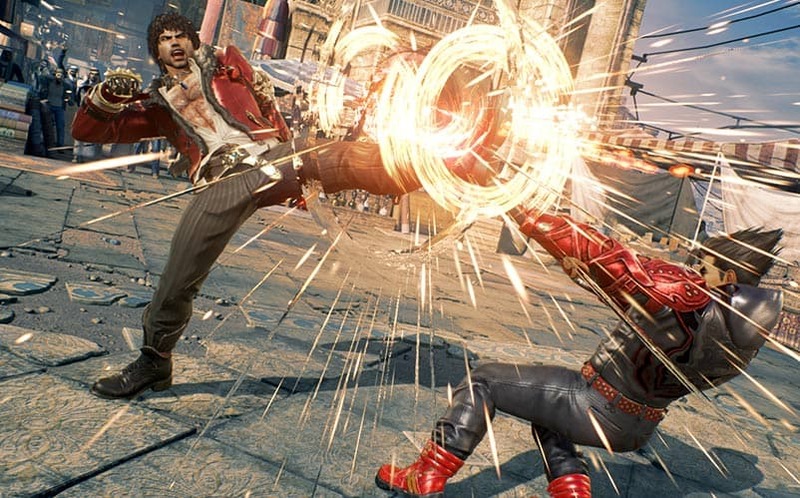 Bandai Namco has announced that Miguel Caballero Rojo, a character first introduce in Tekken 6, has joined the Tekken 7 roster. So, what’s his story? Miguel lost his sister in an airstrike that was ordered by Mishima Zaibatsu, and ever since, Miguel’s only mindset has been to get his revenge on the Mishima clan. Miguel is a heavy-handed fighter that uses his revenge to fuel his fights, creating his own powerful weapons when those fists are wielded by the right player. You check out his fists in action in the Miguel announcement trailer below. After spending a little bit of time at the Bandai booth at this year’s NYCC and getting some hands-on with Tekken 7, it quickly bumped up closer to the top of our list of the most anticipated games of 2017. And, we’re excited to see more news for the upcoming fighting game. Hopefully, we’ll get a solid Tekken 7 release date sometime soon, as we can’t wait to hop into some online battles (and, in all honesty, likely get dominated by our online foes). For now, we’re told to expect the new Tekken in Q1 2017 for Xbox One, PS4, and PC via STEAM. For more of the latest gaming news, stay tuned to Nerdmuch.com. You can also follow us on Twitter for timely updates.